Is to ensure the longevity of Landscapes By Design through repeat and referral business achieved by customer satisfaction in all areas including timeliness, attention to detail and service-minded attitudes. 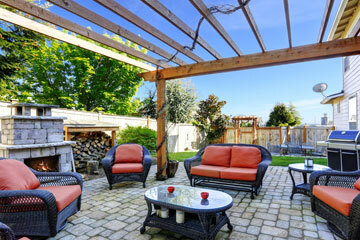 Landscape design is an independent profession practiced by landscape designers. In Oakville, customized companies like landscapes by design are becoming more and more popular as days go by. We continue to set the mark for quality in design and construction by developing innovative and truly liveable outdoor spaces. Our projects include: Landscaping, Landscape Construction, Interclocking Stone, and much more! We strive to perform for our customers The highest level of quality services at fair and market competitive prices. "From start to finish we work with our clients to develop a property that best suits the clients wants and needs. Our talented and experienced designers and crew will make the whole experience as enjoyable as the end result.